Styrmannstinden as seen from Buren. Tromsø Klatreklubb´s alpine hut is marked by a red rectangle. A short route description: Start from Vågbotn in Grøtfjorden and walk up to the pass between Styrmannstinden and Zappfetoppen. 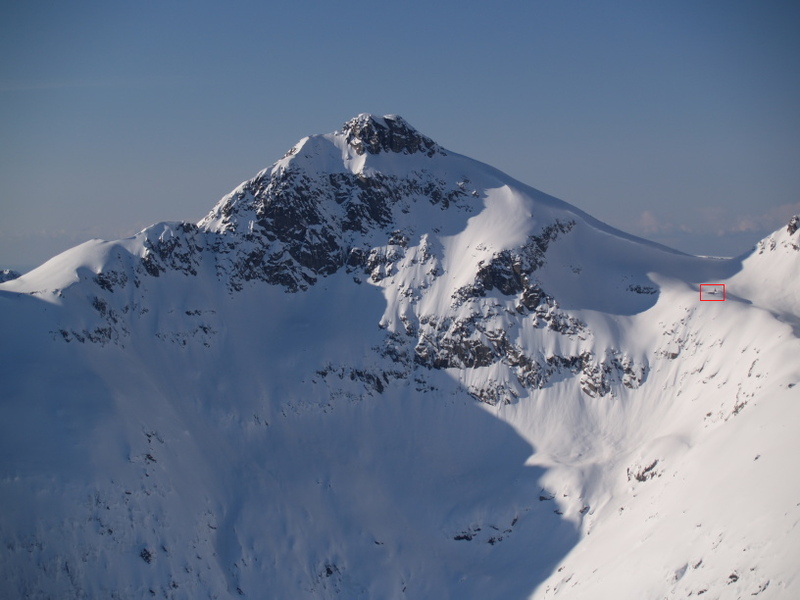 The summit can be easily reached by following the North ridge to the summit. 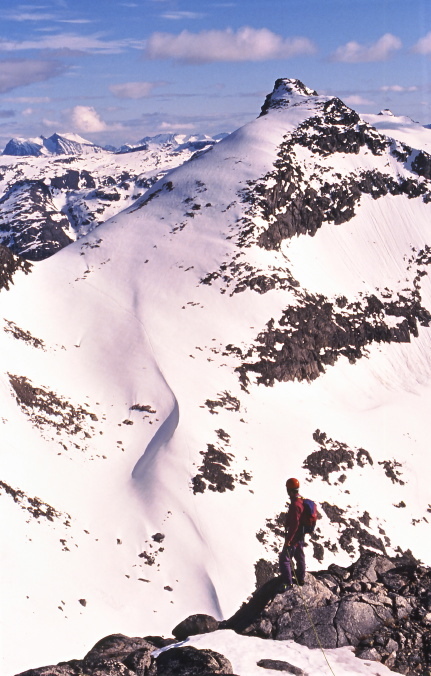 The North ridge of Styrmannstinden as seen from Breidtinden.